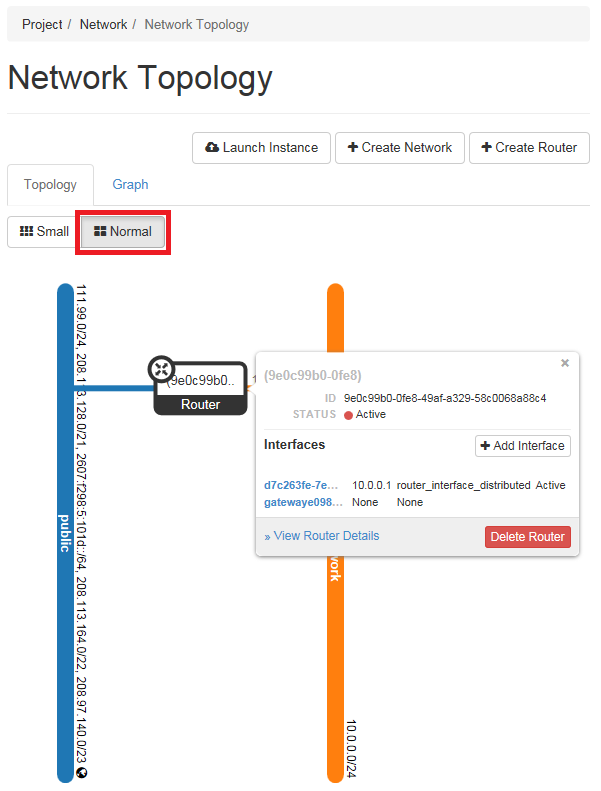 The Network Topology dashboard displays a graphical representation of the interaction of your routers, networks, and instances. 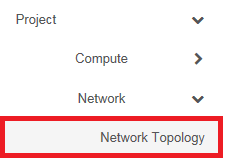 From the menu, click 'Network' to expand the sub-menu. Connections between networks/routers and the public internet (public in this example) are shown as horizontal lines. 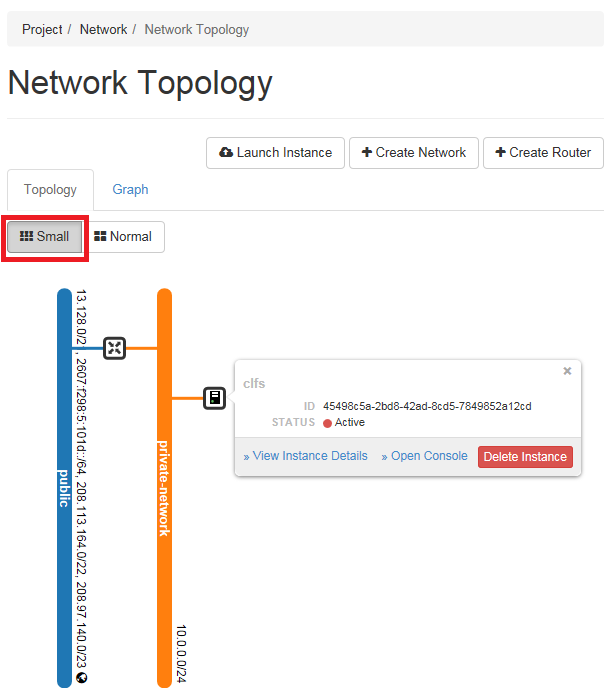 The router and instance boxes are larger and now contain name (or ID) and type information. Hover over them to view more information. If you hover your mouse over a router or instance, you can see additional details with additional management shortcuts.